Ooma was one of the first big names in residential VoIP. Since 2007 they’ve offered home service with a radical new pricing plan to pay upfront for a device that would connect a regular phone to their IP network through an Ethernet cable, and get free service indefinitely, with the option of premium features for a fee. It was a breakthrough, and won numerous awards over the years for its great value, including the Editor’s Choice from PCMag just recently. 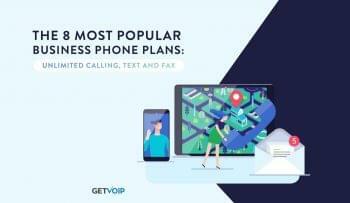 After years of continued success, it expanded into business VoIP services in May 2013, again with a business model of buying hardware, and with ongoing service with business features for a low price. Ooma’s approach to business telephony is, well, just like their residential service, based on selling hardware to adapt the customer’s existing PSTN phones to their network. In 2013, they purchased Talkatone, a mobile app that gives free phone service even if the recipient isn’t a Talkatone subscriber, and in January 2015, they announced a partnership with Nest Labs, the Google-owned company known for their learning thermostat. With the wind at their backs, they went public in May, 2015. Let me start by saying, I am an Ooma customer. I love Ooma. They promise free phone service for life, and that is no lie. Each month I get a bill for a little under $4, and that goes to government charges and taxes—if you look closely at the bottom of your cell phone bill, you probably pay between $5 and $25 each month for these same taxes. When I first bought the Telo in 2011, my initial investment was north of $200, but since then, I’ve saved close to $1,500 compared to my cable company’s Triple Play package. I tried a year subscription to their Premier package, and although I decided the features weren’t worth it for me, it was worth it because I got a free gift, the exclusive wireless adapter, which is an ingenious invention that lets me keep my phone on my nightstand rather than keep it tethered to my cable modem. I consistently recommend Ooma to my friends and family who are looking to save some money on their home phone service. Which is why I am truly worried that Ooma is making a big mistake that will someday cost happy customers like me the best value in home phone service I’ve ever had. Believe me, it hurts that a company that helped get me into VoIP is crumbling. Ooma loses more money the more they gain subscribers. Back in 2013, they made a number of customers angry when they stopped supporting the Hub –which offered service with no taxes or fees– in favor of the Telo – which was more technologically advanced, but came with monthly fees. Did Ooma Just Come to the Business VoIP Party Empty Handed? 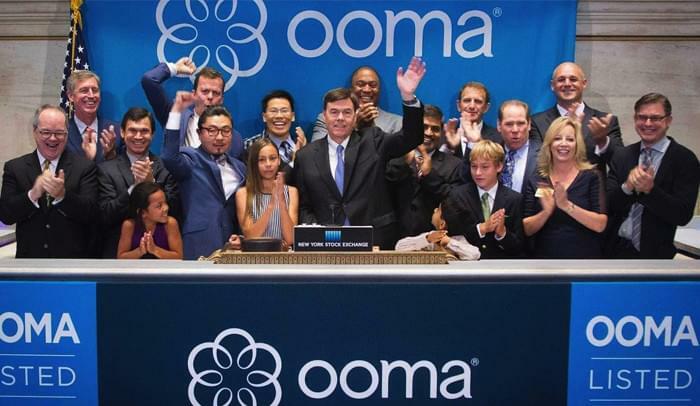 Ooma Office is Ooma’s latest expansion into the small business VoIP market. It started in 2013, the same year they started losing more and more money. According to their own SEC report, at $40/mo per subscriber, they expect to make $15.1 billion. Why is this business model doomed? For starters, home users aren’t looking to buy new phones to just talk to their friends on a cordless phone while sitting on the couch. But business users need dozens of features, and are spending most of their time at their desk. So, a powerful IP phone is a necessary component of business communication today. Second, they are late to the race and they didn’t bring their running shoes. Ooma only added a mobile app in the last six months. Other VoIP providers are integrating CRM software, or adding HD video conferences, or integrating social media. And Ooma? Well, if you want to dust off that fax machine, you can use that with them. As if that weren’t enough, the service they offer taps out at 20 users. Eventually, their most successful customers will simply outgrow them. Competitors like Jive and RingCentral are expanding to handle enterprise subscribers with thousands of seats, while Ooma is thinking small. So Ooma, I have some advice for you: Change your business phone service. It’s running you into the ground. Your model is to have customers buy the hardware, and connect to your service. 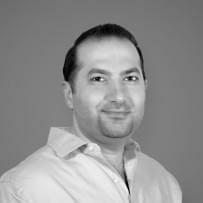 It may be VoIP, but it’s an on-premise solution, and I think today’s SMBs are wary of any big commitments. Ooma Office might have been innovative 10 years ago, when today’s giants like Nextiva and 8×8, Inc. were just finding their footing. But now, it’s way too late for an outdated idea. 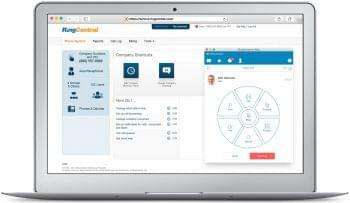 Not too long ago, Vonage offered a service that also relied on hardware; but that all changed then Vonage took over Vocalocity and renamed it Vonage Business. Which brings me to my suggestion: Just buy another company. The Ooma name still has cachet in the world of VoIP, and they had better use it while they can. There is no shortage of truly cloud-based business phone providers who would stand to gain big from a partnership with Ooma. Again, look at their nearest competitor, Vonage. Vonage acquired Vocalocity in 2013, and last year had a 56% increase in revenue in that division. I want to be optimistic about Ooma. I’m rooting for them. I hope they don’t “free” themselves to death with basic subscribers like me. But they can’t keep doing what they’re doing. The outlook is grim, and unless they turn things around, their best hope of making money is to sell to Google, or a similar tech giant, the way Skype sold to Microsoft. But hoping for money to fall from the sky is a bad business strategy. As a loyal subscriber, I can only hope they prove the naysayers wrong. And there are a lot of naysayers.